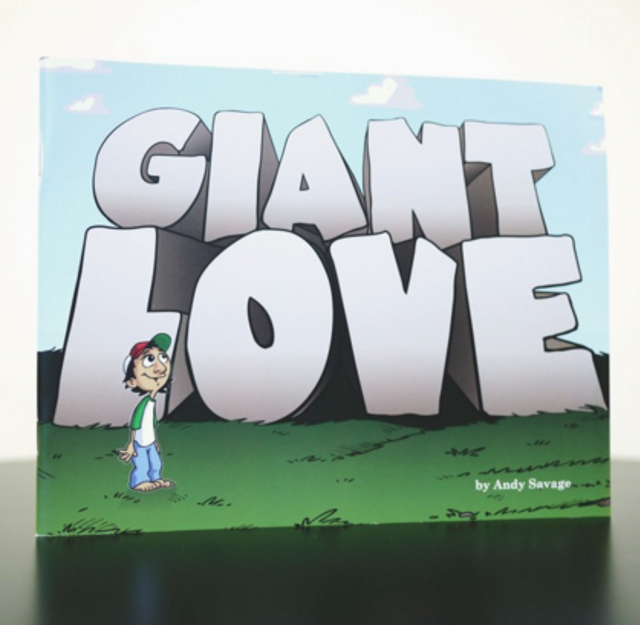 GIANT LOVE is the celebrated children's book from Andy Savage. This fully illustrated book is a unique resource for parents to help their children understand God's Giant Love. Your kids will be captivated by the story of a little boy who faces the giants of sin and consequence only to discover there is another Giant, the biggest one of all who saves the day! The discussion guide included in this book will help parents lead the way in some of the most important conversations one can have with their child. Every child needs to know about God's Giant Love. Our prayer is to see this book in the hands of thousands of parents who take the opportunity to guide their own children into a relationship with Jesus Christ. This book will also serve as a keepsake marking the date of your child's decision to trust Christ and his or her first steps in the Christian life. Andy is a father of five boys and passionate to "make God make sense" to kids. The inspiration of this book came from his own desire to help his boys understand God's Giant Love. Andy, alongside his wife, Amanda, strive to help their children understand what it means to have a thriving relationship with Jesus Christ. His prayer for this book is for parents to embrace the privilege of walking with their own children through the truths of God's word together. To learn more about Andy click here.To have Andy speak at your church or for parenting groups please click here to submit a request. Andrew is a passionate father who uses his unique artistic gifts to bring ideas into magical reality of illustrations. Andrew's work spans from children's books like this to comics and logo designs for people of all ages and business of every kind. Andrew's investment in the Giant Love book is one that will help families for generations understand God's Giant Love. To learn more about Andrew and his work click here. Enjoy this animated version of the Giant Love book. Thousands of kids have watched in wonder as these characters come to life. The story of God's giant love is now available on your desktop, tablet or smart phone through this fun animated movie.